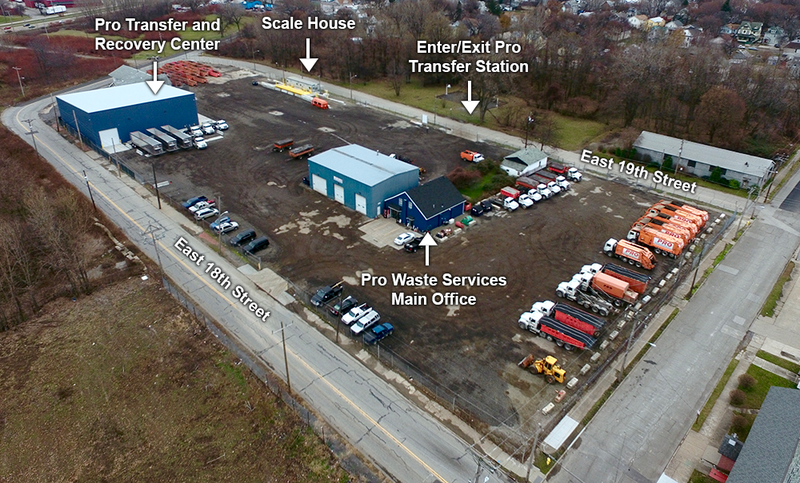 Pro Waste Services is proud to be Erie’s first public transfer station. 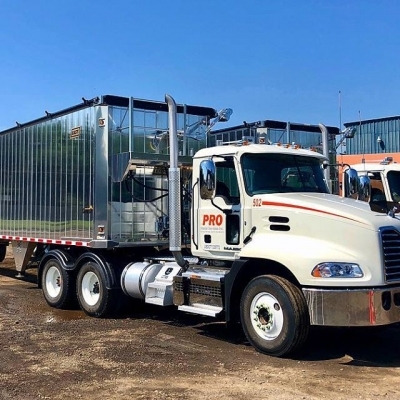 Here at Pro Transfer Station and Recovery Center, we are able to serve all your trash and recycling drop-off needs. 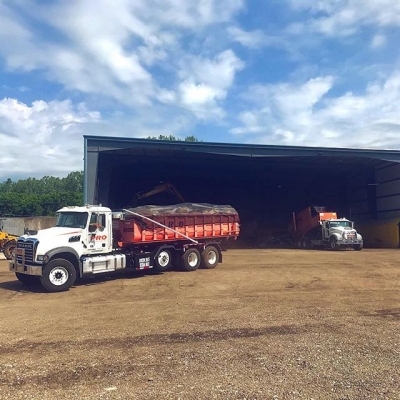 We accept both trash and recycling materials from small car loads, trailer and truck loads, and large construction demolition jobs. While you are on Pro’s property, your safety is very important to us, so we ask you to always follow the rules and procedures we have provided. All trucks and tractors licensed or registered over 17,000 pounds and all trailers licensed or registered over 10,000 pounds require a current Act 90 waste hauler sticker. All of these trucks, trackers, trailers and other vehicles entering Pro Transfer Station and Recovery Center must be covered and secured. For further directions on how to enter and exit our recycling and trash drop-off in Erie PA, click below. Enter the facility from East 19th street. Proceed to the stop sign and wait for green light and instructions. Use CB channel #2 if available. Check in with scale operator at the window; West end of trailer. Scale operator will instruct you where to unload your vehicle. Yard employee will direct you to unloading area (inside building). After unloading, proceed back to the scale approaching from the East. Wait for green light to drive on the scale. Go to the scale house window and pay operator. Drive off the scale and exit left onto East 19th street. Enter Pro Transfer Station and Recovery Center (PTRC) from East 19th street. Follow signs to the scale house, wait for green traffic light. Proceed onto the scale, park and report to the scale office window on west end of trailer. Attendant will direct you to the proper area/location to drop recycling material off. Attendant will also instruct you if it is necessary to return to the scale. When drop-off is complete, exit the transfer station on East 19th street. 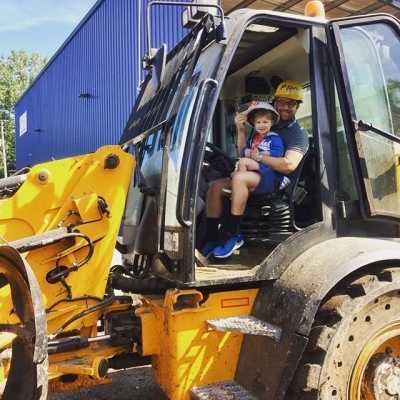 William Kidder, 3, helps Waste Management garbage man Johnny Thomas load a garbage can on a truck. Time is Running Out! Enter to Win FREE Shirts for Your Entire Company! GreenWaste office staff stretched their legs for a bit at the MRF today! 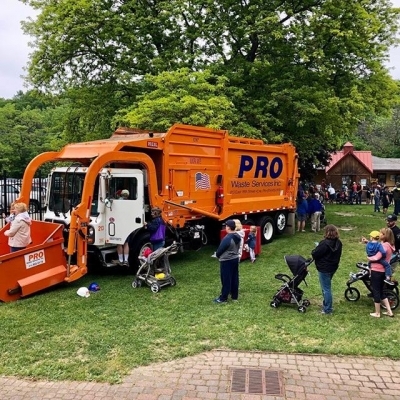 Copyright © 2019 National Garbage Man Day. All Rights Reserved.